At a very popular Vietnamese/Singapore restaurant in Downtown... 1989 Giacomo Conterno, Barolo, Cascina Francia with wood-fire roasted beef bone marrow, topped with shrimp paste. They came along very nicely. 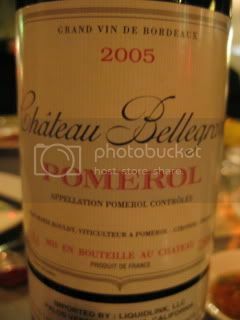 2005 Chateau Bellegrave, Pomerol was a friendly pick for many dishes, including clay pot catfish. 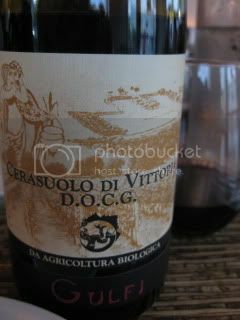 2008 Gulfi, Cerasuolo di Vittoria is a nice medium-boy casual wine from Sisily. It's 50/50 Nero d'Avola and Frappato. 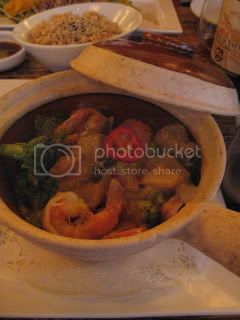 It was an easy choice to pair with shrimp curry at Gingergrass.